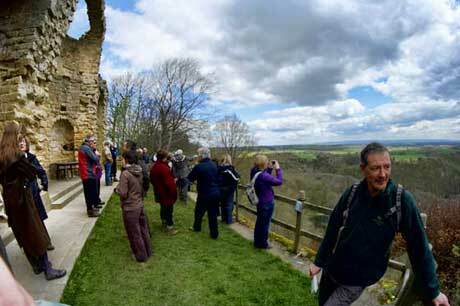 The sun shone for the launch of the Aislabie Walk. 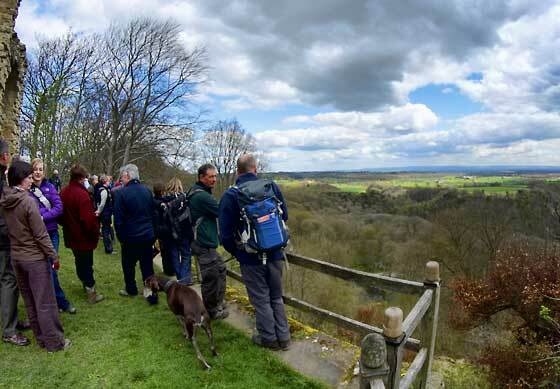 After an introductory talk by Paul Mosley, of the Woodland Trust, and Mark Reid, author of the walk, the gathered party set off to complete a 3 mile section of the route through Hackfall. Lunch was very generously provided by the National Trust and a very nice spread was laid out by The Crown Inn at Grewelthorpe, washed down by an excellent pint of Ringwood Bitter. 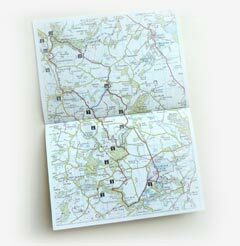 Production of the route guide was supported by the Heritage Lottery Fund (HLF). My vote goes to the Mayor & Mayoress of Ripon who did the Hackfall walk in dignified bling! Well done to Hackfall Officer (Paul Mosley)managing to keep all the group together and safely back to Crown Inn.